Our ticket center is located at 7000 E. Mayo Blvd, Ste 1059, Phoenix, AZ 85054 (just east of Harkins 101 in the same complex). We are located in between AZ Kabob House and Fix 24 Chiropractic. 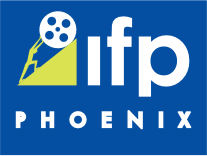 NO MATTER YOUR BUDGET OR SCHEDULE, THERE'S A WAY TO ENJOY THE PHOENIX FILM FESTIVAL! Each screening will have a limited number of available Golden Tickets. Available only as a single ticket purchase, Golden Tickets allow a filmgoer to purchase a single ticket and be seated with the VIP seating group. They are not available as part of previously purchased passes (Festival, Flex, Super Flex), there are no discounts on Golden Tickets and they are available as supplies last. The ultimate festival pass includes all events except the Opening Night Premiere. It also gets you front-of-line access to all theatres (priority seating). All VIP Pass holders also receive an Official Phoenix Film Festival T-Shirt. As a VIP Pass holder you will be able to obtain tickets to any film you want to see excluding the Opening Night event. Entry to all events excluding the Opening Night Premiere. Festival Pass holders have the opportunity to get tickets to any films of their choice throughout the Festival excluding Opening Night event. A super version of our traditional Flex Pass, the Super Flex Pass includes ten (10) Individual Screening tickets -- one ticket to any ten different films (excluding Opening Night event). Ten single tickets to ten different films for one price. Pass is only valid for use by one person. Flex Pass is not valid for the Opening Night event.